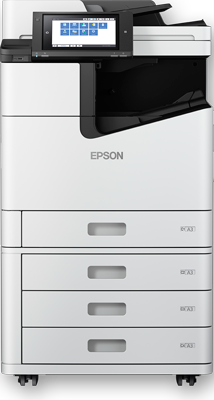 In independent tests, Epson's WorkForce Pro models used up to 87% less energy than lasers and laser copiers1. See how much electricity and CO2 you can save by using our calculator below. 1Epson inkjet devices use up to 87% less energy and electricity compared with laser devices (comparing 49 different models in the Australian market as at 31 October 2018).